The vertical lift or carousel module combines compact storage of unit loads with low-dynamic storage and retrieval capabilities. With their small footprint, the standardized units allow compact storage of slow-moving items with low rotation. Al items are stored on wide shelves. A vertical lift unit can extend several meters high and stacks shelves by means of a central lifting device. A vertical carousel works in a similar way as a paternoster: the shelf containing the required item is rotated automatically, presenting the goods at the outfeed. The operator picks the correct number of items and the carousel/vertical lift continues to turn, presenting the next shelf. When operating as a stand-alone solution the carousel has its own location management system. This means that this paperless storage and order picking system can be installed quickly and linked to your warehouse management system (WMS). This short implementation time supports a rapid return on investment. Placing two or more modules side by side achieves even higher efficiency. 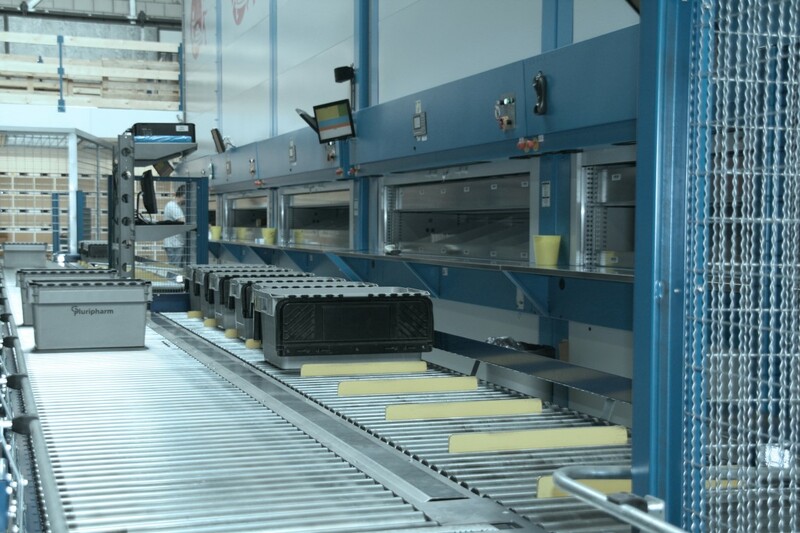 While the operator is picking from one module, the other module is already indexing the next shelf, thus completely eliminating waiting time. Each shelf can of course hold multiple items as the shelves are flexibly divided according to product size. When this module is combined with laser indication or Pick to Light, the operator can work even more quickly and accurately.